I don’t spend as much time in the kitchen as I used to so I’m always looking for delicious recipes that are easy to put together. This tart filling recipe falls into both of those categories – easy to make and tastes delicious! You can fill these with pretty much any fruit: strawberries, blueberries, raspberries, kiwi, even canned pie fillings like cherry or apple. 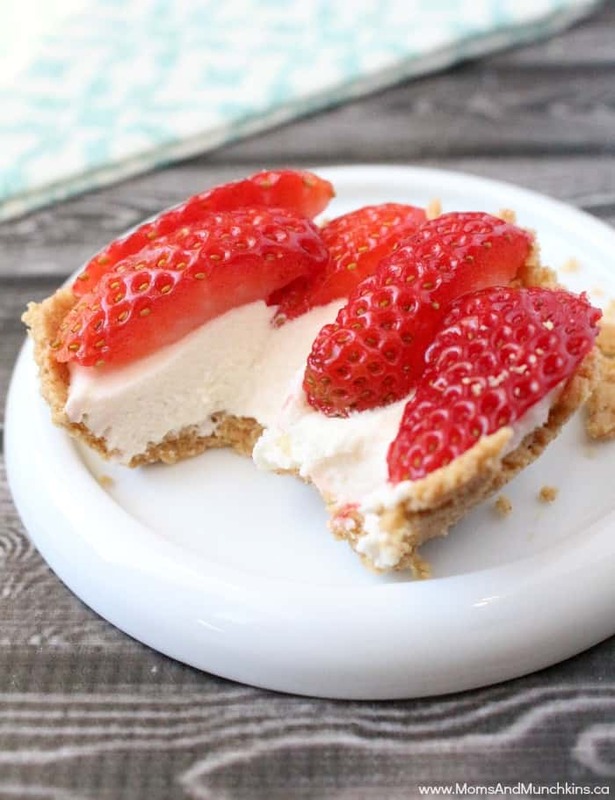 I always buy the frozen tart shells or the prepared graham cracker shells rather than making the shells myself. 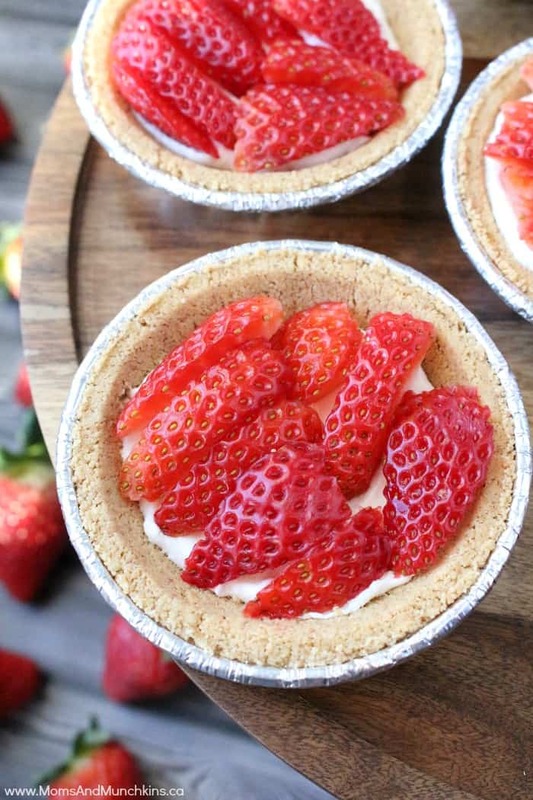 If you’re using the frozen tart shells, simply bake them according to the package and let them cool completely before filling. While the tart shells are cooling, you can prepare your tart filling and slice up some of your favorite fresh fruit. After the tart shells have cooled, place about 1 tablespoon of the filling in the bottom of each shell. Top with sliced fresh fruit. Store in the refrigerator. This is an incredible easy party dessert recipe! This tart filling recipe is easy to make and tastes delicious with any kind of fresh fruit topping. Mix the cream cheese, butter and confectioners sugar in a large bowl. Beat until smooth. Add in the almond extract and beat until mixed well. Store in a sealed container in the fridge until ready to use. What is your favorite fruit topping? 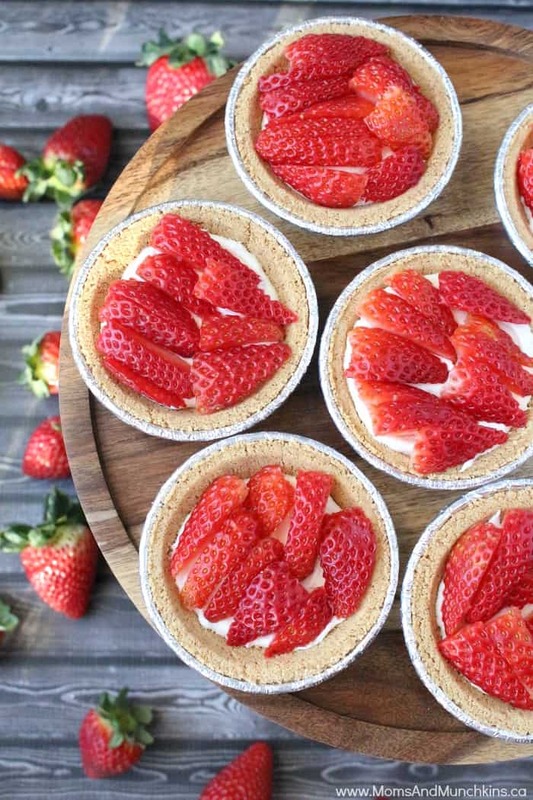 Any type of fruit topping tastes delicious in these tarts! For more delicious recipes, check out our special Recipes page. We have loads of yummy dessert and appetizer ideas perfect for parties. 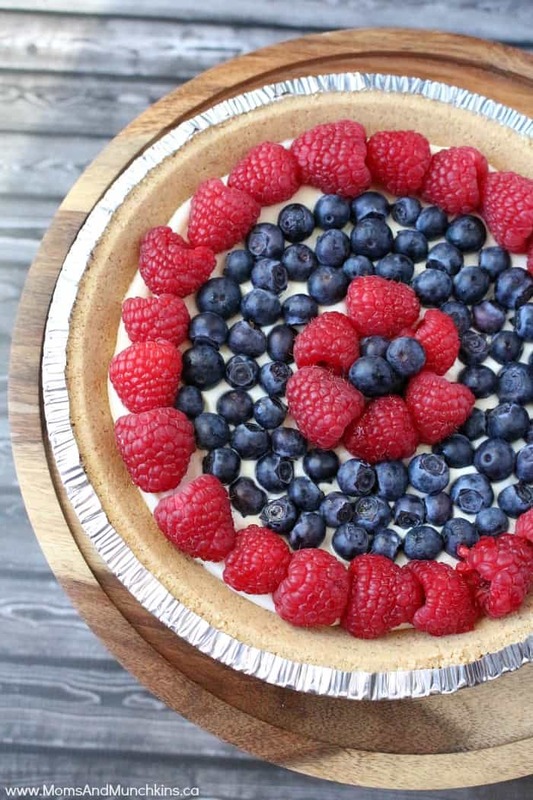 If you like this recipe, check out this fruit tart recipe! 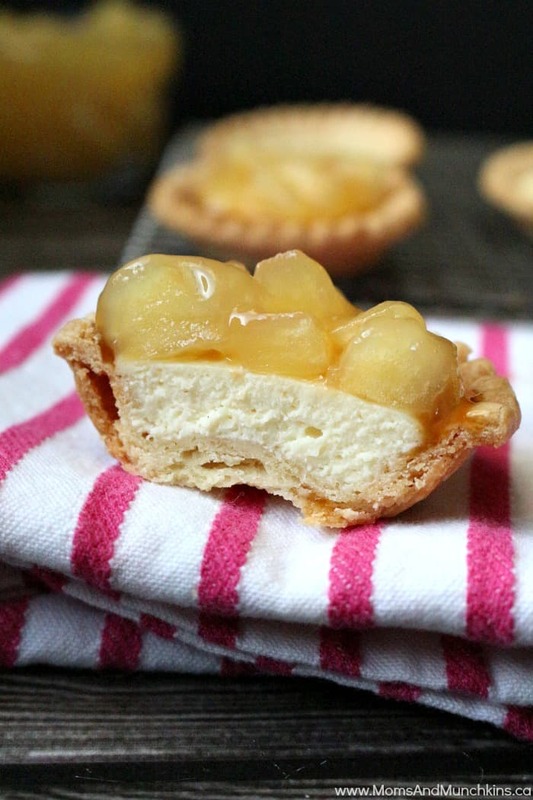 These Caramel Apple Cheesecake Tarts are incredibly delicious too. We’re always adding new ideas for recipes, parties and more. For the latest updates, follow us on Facebook, Twitter, Pinterest and Instagram. I love this! Thank you. I like cherry filling myself.